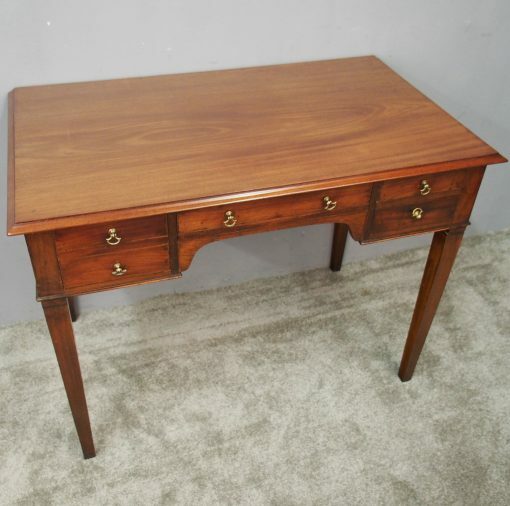 Circa 1790, George III mahogany side table or writing table. 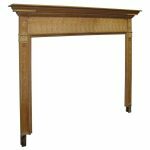 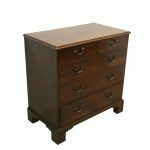 The rectangular top is in figured Spanish mahogany with a thumb moulded edge over one deep and 3 shallow oak-lined drawers (2 dummy single drawers) with original brass axe head handles. This is all supported on square tapering supports.